1) Fire suppression activities led to a decline in huckleberry patches across North America in the past century, by disrupting the natural fire frequency, and creating denser stands of smaller trees and less stimulation of the understory. 2) Clearcutting, which can mimic the effects of fire, has fallen out of favor due to poor aesthetics and past overuse (and abuse). 3) Timber harvesting in general is way down on federal lands (due to the environmental quagmire), and that is where most huckleberry stands are found in the western US. 4) Long-term weather patterns (i.e. increased temps and lower rainfall during summer months), combined with fuel buildup – from (3) above – create fires that are now much hotter, with greater risk of sterilizing the soil. Rhizomes and seeds are less likely to survive, and even if they do, can’t always do their thing in a baked soil. So, how will the 2015 (or any year’s) fires affect future huckleberry crops? You should see a vigorous opportunity in huckleberries in about three to seven years, which should result in fabulous crops during the 2020s, and maybe into the 30s. 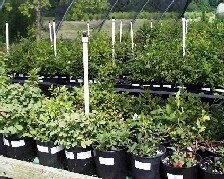 PS Based on research at the University of Montana, you can stimulate individual huckleberry bushes and production in your favorite patch even more, by going out and hand pruning out competing plants around established huck stems. Of course, I didn’t tell you that… just in case the landowner or land management agency does not allow this sort of activity! But I highly recommend it on your own ground, or where you have permission. (And no one sees you in your favorite patch on Zipperlip Mountain…). Smokey the Bear has probably destroyed more huckleberry habitat than any other single factor. He is an icon for fire suppression programs in US forests, triggered by large fires in the early 1900s. Native Americans understood the benefits of fire on the landscape, and regularly started fires to rejuvenate and promote desirable berries and other species. In fact, early non-native explorers to the Pacific Northwest often talked about the hazy smoke that filled the mountains from man-caused fires, in addition to the natural fires. After a fire, huckleberries will start sprouting from rhizomes if there is still living tissue in the soil, not sterilized by fire intensity. 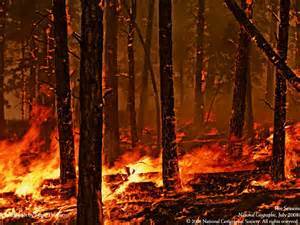 Also, seeds that survive the fire, or dropped by birds or bears, can restart the huck population. 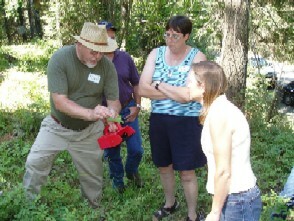 Huckleberries reproduce kind of like insects, using masses of tiny seeds to win the competition with other plants. Seedlings are VERY tiny, one or two inches the first spring, and can be so thick they almost form a thin carpet. They are hard to recognize when sprouting, as they do not look much like huckleberry leaves or plants. Due to their diminutive competitive size, seedling survival is very, very low. But if one seed prevails, and takes root, a colony begins forming. And they grow like the dickens once established. Unfortunately, dozens (maybe hundreds) of plant species are following a similar protocol, in a race to take over as much space as they can after fire. But if a huck patch forms, the rhizomes often shoulder out lesser competition to create a nice patch. Purple fingers here we come! Typically, it may take five years (on average) from seed – less from rhizomes – to begin bearing fruits on the bushes, depending on competition and sunlight. And they should bear for 10 or 15 years. After this time, you may see reduced vigor, and larger brush species (e.g. maple, willow) often choke them out. And conifers that seed in from adjacent mature trees, or from tree planting programs, often start shading out all the brush, including huckleberries. The best thing that could happen at that point, to rejuvenate huckleberries, is a nice fire. Wild huckleberries of the genus Vaccinium – common to the western US and parts of Europe – are rhizomatous, forming colonies of bushes that are really just one plant. A seed sprouts, and then the roots (called rhizomes) spread through the soil, popping up stems in the adjacent area, thereby forming a “patch”. This characteristic of huckleberries leads to the myth that hucks cannot be commercialized. People go to the woods, shovel up a stem/rhizome (which is really just a twig or branch), and stick it in the ground at home, in an inappropriate soil type. Results are predictable. 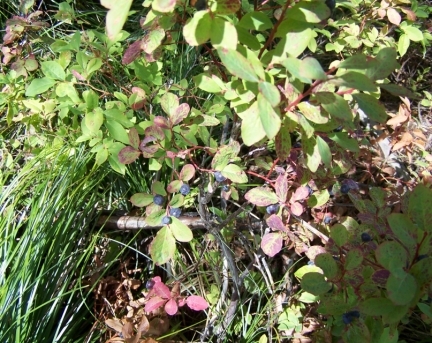 Note that huckleberry soils are highly acidic – a common trait of the rich coniferous and sub-alpine forest habitats where they are found. Huckleberries actually grow very easily from their VERY tiny seeds. Smear ripe berries across a paper towel or fine wire mess such as a dense strainer, let them dry and save them. Carefully! Breathing on them may send them flying. 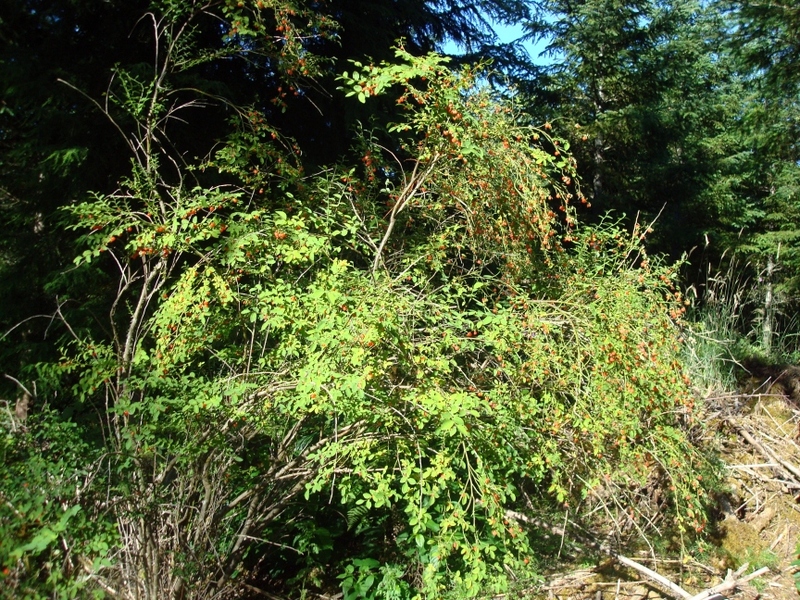 So, the questions here becomes… how does fire affect huckleberry ecology and future crops? And what can we expect in the aftermath of an historic fire season…one that affected many tens of thousands of acres of potential huckleberry habitat? 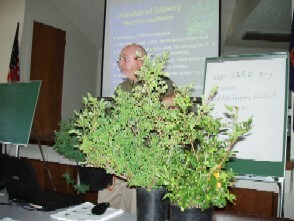 Generally, huckleberry colonies or patches – like virtually all brushy species – are heavily stimulated by fire. After a fire, competition for space, water, and nutrients is reset to zero; the darker soil attracts early spring warmth; and the burnt plant materials fertilize the soil with massive amounts of mineral-rich ash. Roots that survive the fire (most do), sprout with a vengeance the following spring. After almost any fire, the landscape literally turns into a far richer green than it was the spring before the fire. For some species, fire “scarifies” seeds or cones, allowing them to sprout more easily after a fire, as part of their natural ecology. 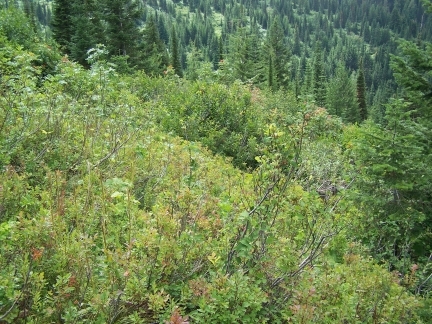 Examples would be lodgepole pine and red-stem ceonothus (a preferred elk browse). Of course, fire intensity may affect which species are promoted after a fire, and whether huckleberries come back. Hucks grow best in full sunlight, up to about 30% shade, at which time the colonies begin to decline. So, openings from fire (historically) and clearcutting (more recently), are usually critical to an abundance of healthy patches. Sometimes patches also rejuvenate after insects or disease remove the coniferous overstory, letting in sunlight. You are currently browsing the archives for the Huckleberry Research category. 126 mySQL queries in 0.856 seconds.